Aramesh Luxury beach Villa is minutes from Grace Bay and world class restaurants, shopping, spas, yoga, golf and tennis. Providenciales has been voted best island and best beach in the world by Conde Nast and TripAdvisor. 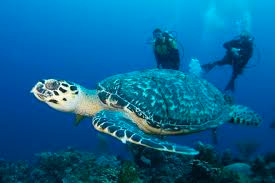 And, it is considered a haven for scuba diving and snorkling, kiteboarding, fishing, and horseback riding. 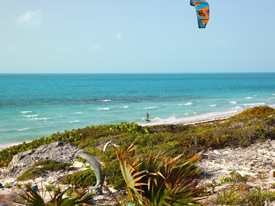 Kiteboarding is a popular adrenaline – pumping sport in the Turks and Caicos Islands. With consistent trade winds and shallow water, the learning conditions in Provo are considered top notch and you can kiteboard right in front of the villa. Providenciales is considered one of the top year-round diving destinations, with great visibility, miles of pristine reefs and an abundance of stunning sea life. 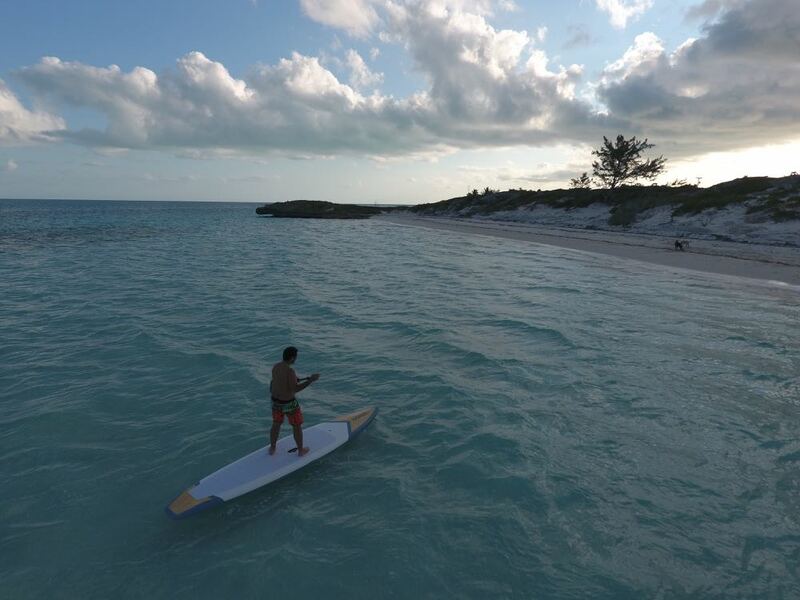 The Turks and Caicos Islands offer world-class fishing and miles of breath-taking secluded beaches. Within only a few miles of Providenciales, you can fish the inshore flats for grouper and snapper or venture offshore for marlin, tuna and wahoo. 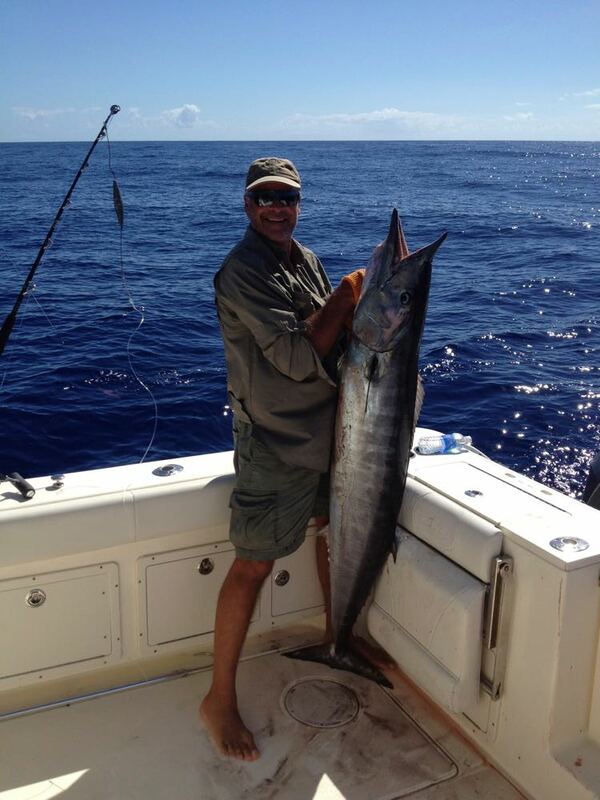 There are a number of charters available. Fulfill your dream of horseback riding on the beach and into the shallow waters with a backdrop of white sand and turquoise water. 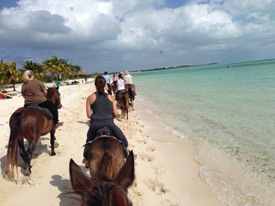 Ride with Provo Ponies along quiet dirt roads and secluded Long Bay Beach. 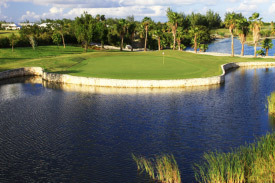 Featuring an 18 hole championship golf course, The Provo Golf Club is consistently voted within the top ten Caribbean golf courses. It also features tennis courts and lessons. 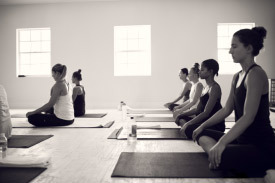 Retreat Yoga & Wellness Studio is a place dedicated to healthy living and yoga in Providenciales. Aramesh provides paddleboards and kayaks for your enjoyment. You can also rent additional watercraft and jetskis at SunNFun, Big Blue and a number of other establishments.